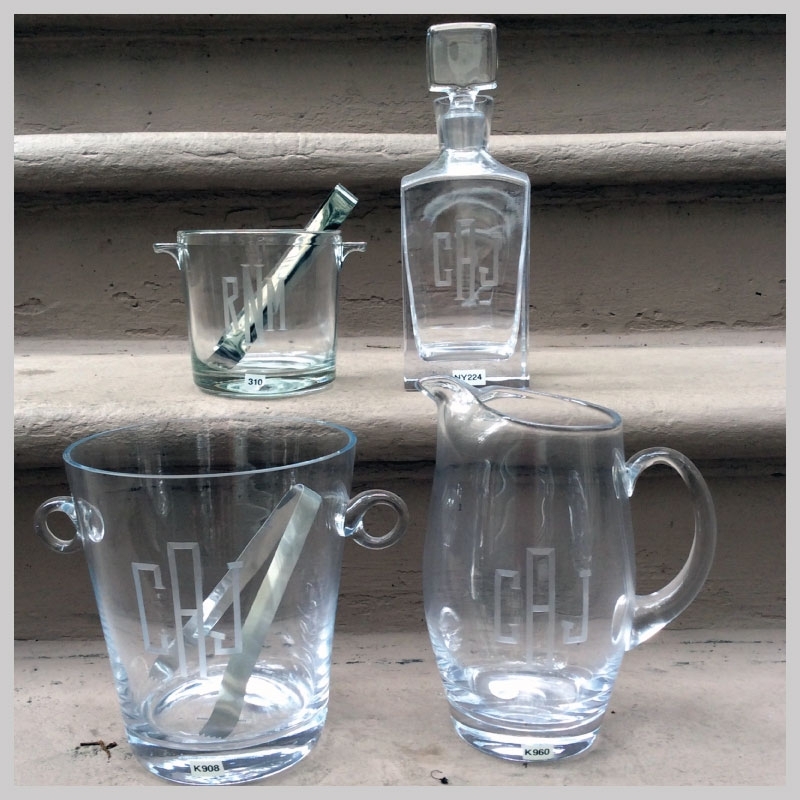 Your bar is not complete until you add a few personalized accessories. The Ice Tub is a sweet little piece at 4 7/8 inches tall and includes tongs. The Champagne Bucket is 8 inches tall and also includes tongs. The Square Decanter holds 32 ounces and is 11 inches tall. The pitcher holds 54 ounces and is 9 inches tall. 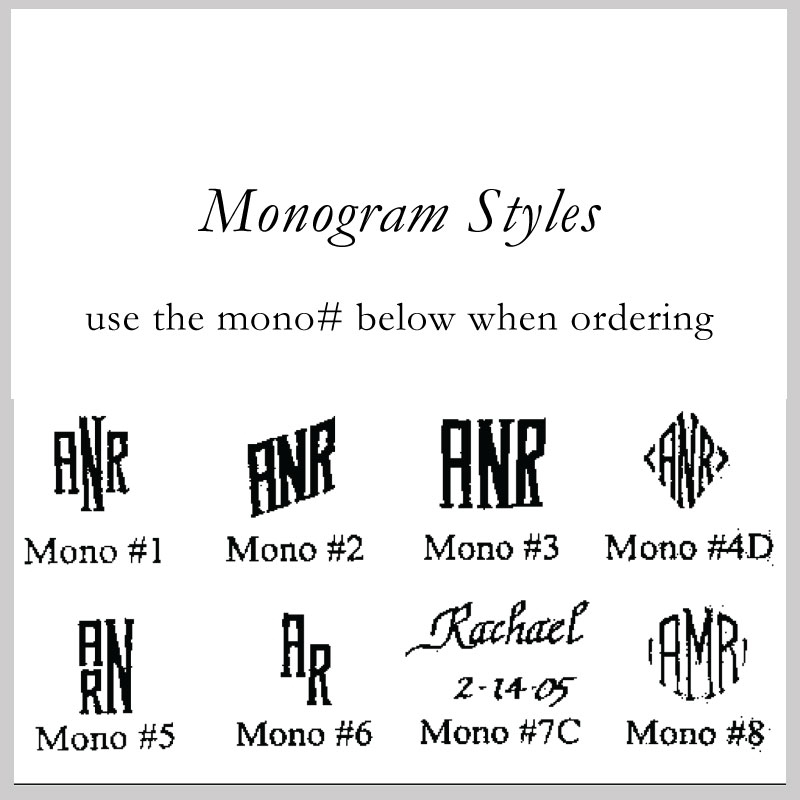 Refer to the monogram style sheet on the left to select your monogram style. 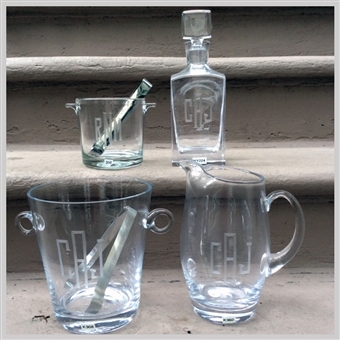 The turnaround time for these items is about 1 week.